I had an issue with "Terminator Salvation" even before it hit theaters, and that was with it being muted down to a PG-13 rating unlike its three other R-rated predecessors. The only reason for such a move was certainly to draw in more viewers and make more money, and it's a move that never should've happened. The material is dark enough anyway to merit the R-rating, and it perhaps could've given it the potential to be more riveting than it turned out. Even with copious amounts of large, fiery explosions, this latest installment in the revered sci-fi series is quite a bore. The other issue I had was the director behind it all, McG, who doesn't have a very impressive resume to begin with: "Charlie's Angels," "Charlie's Angels: Full Throttle," and "We Are Marshall." Maybe we could've seen something if it were put in more capable hands. As it stands, this movie can't stand up to what it's attempting to deliver and thinks it is a much greater movie than it really is. 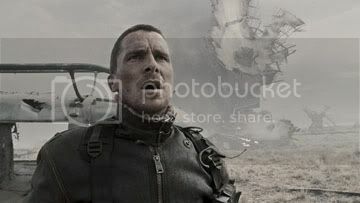 Christian Bale plays John Connor, the prophesied one who is the head of the last remnants of human civilization on Earth, the resistance, and is supposed to be the leader of mankind. Bale does a good Batman, a real good one. As for playing John Connor, too, well he brings the same style to the part but here it works to a much lesser degree. For being the character who knows the defining difference between human and machine, he's a pretty soulless person himself. He spends most of his time on the screen yelling and scowling. John Connor worked as more of an icon in the previous films because now in flesh and blood, he's shockingly flat. I found myself preoccupied wondering just what exactly Connor's lover, Kate (Bryce Dallas Howard), sees in him. Thank goodness, then, for Marcus Wright (Sam Worthington) who turns out to be the real hero, the man who was once a criminal but then turned into something inhuman. The question of humanity really gets tossed into play with his character because, although essentially machine, he acts more human than Connor. And even though Marcus is the machine for which we're supposed to have feelings, sometimes it's even hard to do that. Turns out the most sympathetic character of them all is a strong, sweet-hearted woman named Blair (Moon Bloodgood), the one who decides to assist Marcus in the first place while everyone else questioned his motives. This fourth entry returns with another time-traveling plot, except this time it stays rooted in one time period, that being the year 2018. Judgment Day has happened, and Skynet's machines are on a rampage to destroy all human existence. The movie focuses entirely on John Connor's job of locating his teenage father, Kyle Reese (Anton Yelchin), and sending him back to 1984 (and consequently, the first movie) so he can save Sarah Connor, John's mother, so that Kyle will become John's father. Complicated, yes, but it's all breezed over and watered down so that "Terminator" newcomers can jump right on in. I think McG is considering this his warm-up as I'm sure he's got plenty more in store. 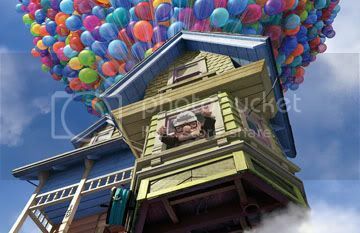 The movie is highly desaturated of color to the point where some scenes look as if they're entirely in gray scale, and although it creates an apocalyptic feel to everything, it's also just downright ugly. It certainly makes the explosions pop throughout each chase sequence, and good thing, too, since the movie is basically one, extended chase sequence. There are lots of different kinds of Terminators out there to kill, too. Along with the standard ones shaped as humans, there are motorcycle ones, little flying ones, big flying ones, massive and towering ones, and even underwater ones that look like eels made of scrap pieces out of a junkyard. It's all action all the time as the entire jumbled mess of chaos and crunching metal becomes essentially a futuristic war film, a mean, bitter, angry, blundering war film. And for what plot development there is, it's all padded with trite, clichéd dialogue. This certainly isn't the "Terminator" I remember. Gone are the hints of humor. Gone is the touch of tenderness. Gone is the fun. McG's "Terminator Salvation" has two saving graces: 1) The awesome rising young star Anton Yelchin as Kyle Reese, and 2) the cameo by a digitally recreated Arnold Schwarzenegger in all of his naked glory returning to his original role, which got the audience at my screening in a frenzy. The latter is definitely the film's shining moment among an otherwise bleak and disappointing venture. In my review of 2006's "The Da Vinci Code," I remarked that it was painfully lukewarm, a novel-to-screen adaptation that fell flat on its face. It lacked any spark, excitement, or anything relating to that of emotion. Thank goodness, then, that director Ron Howard learned his lesson in time for his adaptation of "Angels & Demons," the novel that Dan Brown actually wrote before "The Da Vinci Code." As a movie, it's marketed to be a sequel to the 2006 dud, and rightfully so because it's relievedly better than its predecessor. Howard ditches the leadenness and pumps this sequel with hectic energy, letting the 140-minute running time zip by surprisingly fast. And as added bonuses, Tom Hanks ditched his awful hairstyle of previously, and there's no more Audrey Tautou being awkward and out of her element. 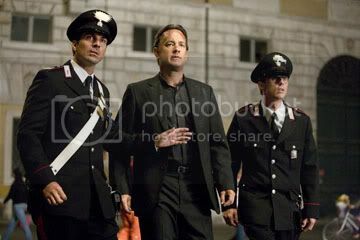 Harvard professor and symbolist Robert Langdon (Tom Hanks) is back and gets recruited by a representative of the Catholic Church to help a crisis occurring at the Vatican. No hard feelings about basically debauching their entire belief system in Langdon's last outing. The Pope has died, and the College of Cardinals has been gathered in order to choose the Pope's successor. The problem is that the preferati, the favorites to be elected, have all been kidnapped, and behind it all is a very old, secret society, the Illuminati, that is seeking revenge on the Catholic Church from the days when it used to persecute thinkers of science. Earlier, a gorgeous and capable scientist named Vittoria Vetra (Ayelet Zurer) was working with something called anti-matter, a substance that does very special stuff and has something to do with the moment of creation, or something really epic like that. Anyway, it got stolen from the lab and is now being used alongside the Illuminati threats. Each kidnapped preferati will each be executed individually at 8, 9, 10, and 11 p.m. And then at midnight, the capsule containing the anti-matter will run out of battery and blow all of the Vatican to smithereens. Got all that? Great. OK, so, what does all of this have to do with Robert Langdon? Well, he has knowledge of Illuminati symbols that leads him and his team on a wild goose chase through Rome looking for certain clues, statues, symbols, anything, that could lead to the next location. Langdon has uncanny luck as he's never wrong, never misses a step, and spews out his knowledge so fast that we as an audience barely have time to catch it. We just have to take his word for it that he's right. Turns out he is 100% of the time. Perfect. Potential sexual tension between Langdon and Vittoria? No time for it. All she can do is nod, agree, follow him around, and translate some Latin. Howard has taken the laborious movements of "The Da Vinci Code" and kicked it into breakneck speed, which is what makes this sequel work. Langford gets assistance from the faithful Camerlengo (Ewan McGregor), the short-fused Swiss Guard commander (Stellan Skarsgård), and the head Cardinal Strauss (Armin Mueller-Stahl), all of whom hold expressions that shift to make it unclear at times whether they're good, bad, or who the hell knows, maybe both. All of these supporting characters are meant to lead the audience astray as to knowing which side is the most morally sound one to choose. The twists are bountiful, especially at the movie's climax, to get the full feeling of being an over-exploded, self-serious blockbuster, which it entirely is. It's totally preposterous, too, but it might as well be. Ron Howard knows this, and he keeps it cruising right along with an effectively pounding score from Hans Zimmer. The production values are through the roof, and there are some splendid sequences including a nerve-racking escape out of the Vatican archives from a sealed-off library after the oxygen supply has been cut off. Oh, and there's something to be said about the commingling of science and religion. "Angels & Demons" glosses over that, however, and doesn't make any bold statements on the matter because, really, why bother? Last night's season finale of "Lost" proves without a shadow of a doubt that it is the very best television has to offer right now. Anybody who disagrees just hasn't been following it close enough. Yes, it's a confusing show, but if you're keeping up with it, the rewards it provides in entertainment are well worth the effort. The show's fifth season came to an almost shockingly too perfect close last night as the bomb indeed went off, flashing a white light across the screen that faded into the show's title card, this time switching it's usual white letters against a black background to the opposite. It's a signal that a drastic shift has occurred, and something big is about to come. The final season arrives in January 2010, and many questions still remain to be answered. Will the bomb going off really reverse everything and make them never land on the island in the first place? Somehow, I don't think it will turn out to be as simple as that because if this show has proven anything about it's storytelling, it's that nothing is ever that simple. 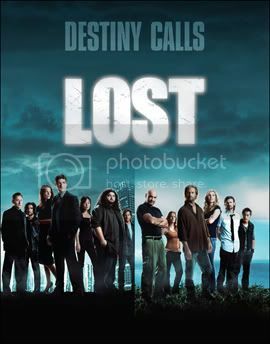 This season had the tagline, "Destiny Calls," and the final season fittingly has the tagline, as shown in the very brief promo, "Destiny Found." 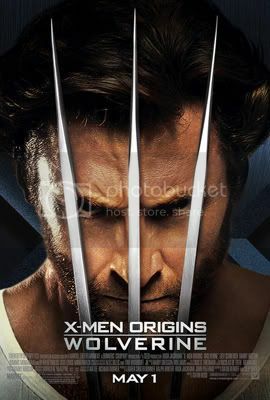 So, I'm fully aware that this year's summer movie season has officially begun yesterday with the release of "X-Men Origins: Wolverine." 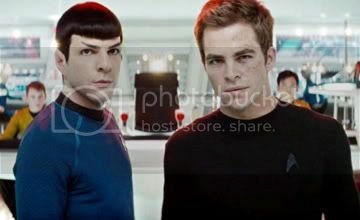 As much as I would have liked to partake in seeing this, I will not fully commence the summer movie viewing until next Friday with the release of "Star Trek." The reason? Well, it's a little thing we like to call finals.